shimmer | Matilde learns beauty. Can you believe that in just 4 sleeps it will be Christmas? It is such a beautiful time of year. Other then the oh so glorious presents, people are generally happier. And the food, don’t even get me started on the food. This year James and I are going to his Grandma’s house for Christmas lunch. His parents come down from Canberra and his Uncle from Melbourne drives up as well. They’re such a caring family, they have really made me feel like one of the them. Anyway, enough mushy stuff, onto the haul. In one of my recent pre-Christmas hauls, I picked up a gorgeous slightly shimmery mauve colour eyeshadow by Maybelline. It is a part of their MNY range. It has become my go to Christmas look. It is just so beautiful. It has a gold shimmer through the red that makes it completely wearable for work and play. I did have one similar to this from Covergirl or Max Factor that I completely adored but it is off with the makeup fairies now. Sad. 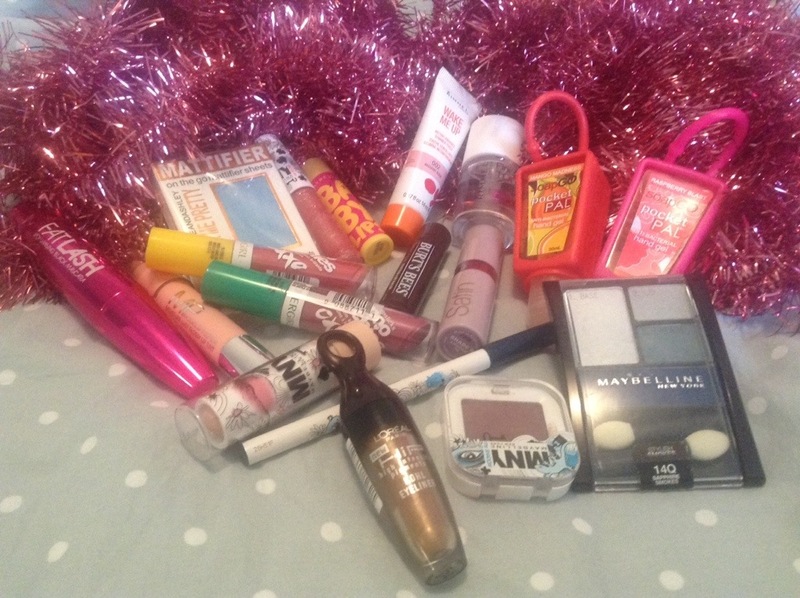 A discovery thanks to Rachael Jade were Maybelline’s Smoochies. Bought from Priceline, they are reasonably priced but lacking in variety. I bought two our of the three available but sometime after Christmas I will probably buy the last one to complete the set. So far I’m enjoying them, they’re nice on my lips, add a little bit of tint and looks charming underneath the MNY sparkly lipgloss I also bought. This has been over a couple of weeks and pretty much all of them were bought on sale minus the Smoochies. I’m testing them all out still to see what works for me but at the moment my MNY eyeshadow is definitely winning. I do know that I am getting some pretty exciting stuff for Christmas, so no doubt, that will be up here soon. Have a lovely Christmas every one! Spend time with your loved ones and eat lots of good food, if there is ever a time for it, it is now.